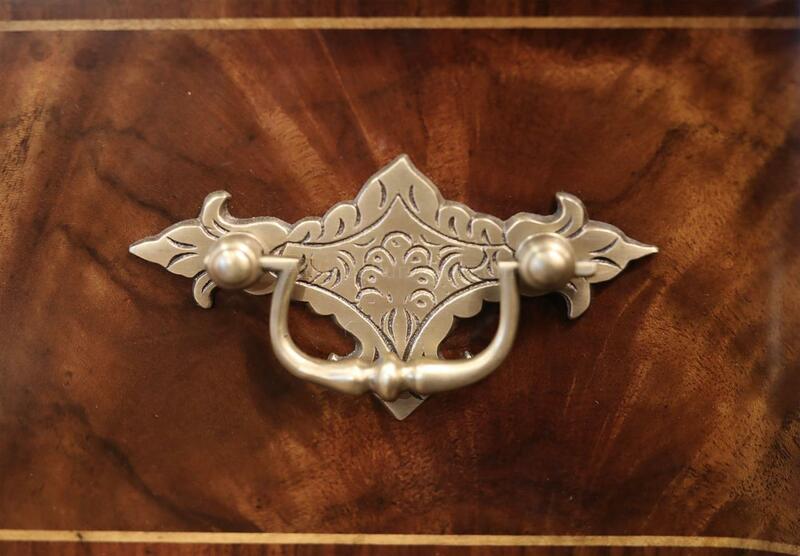 Notice all of the brass hardware on this door's edge. 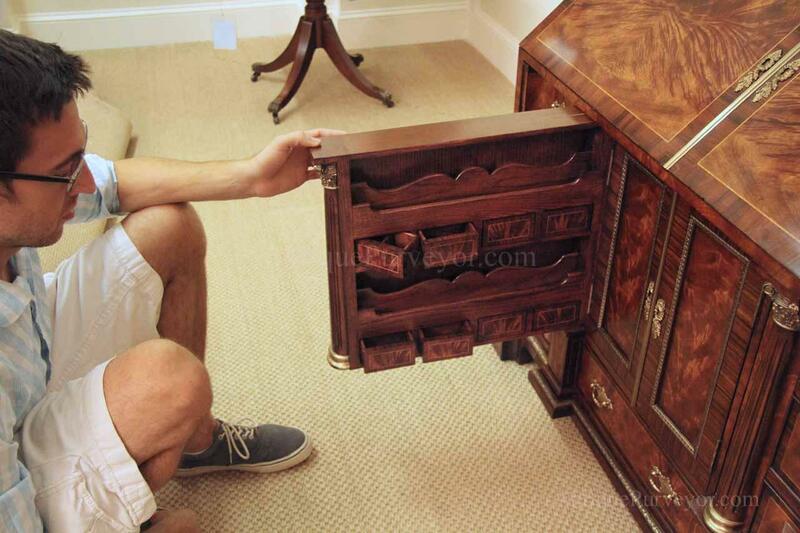 These drawers are hidden behind a false back. 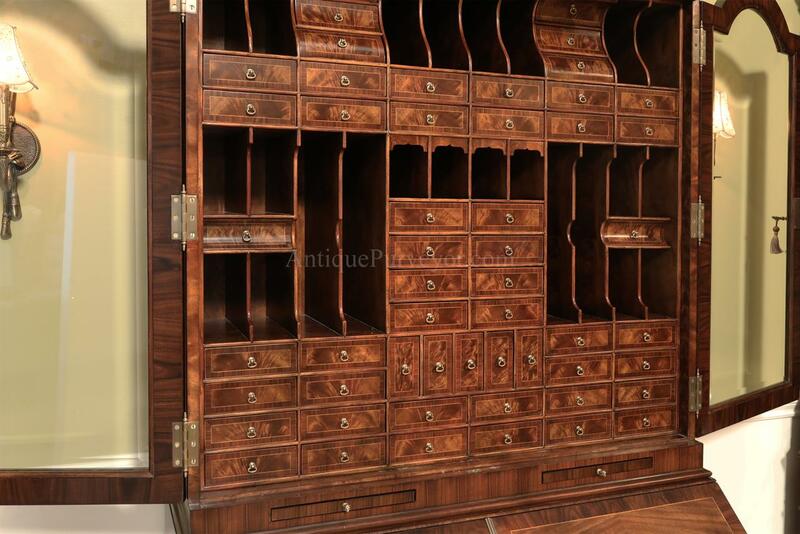 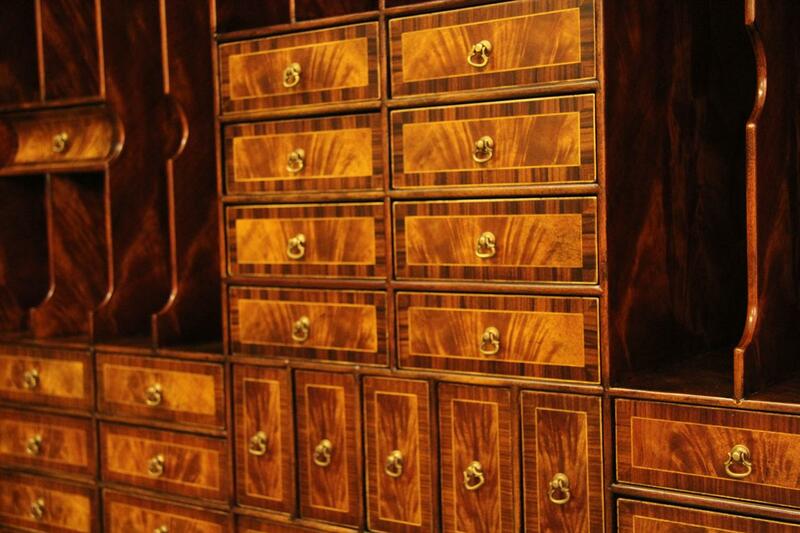 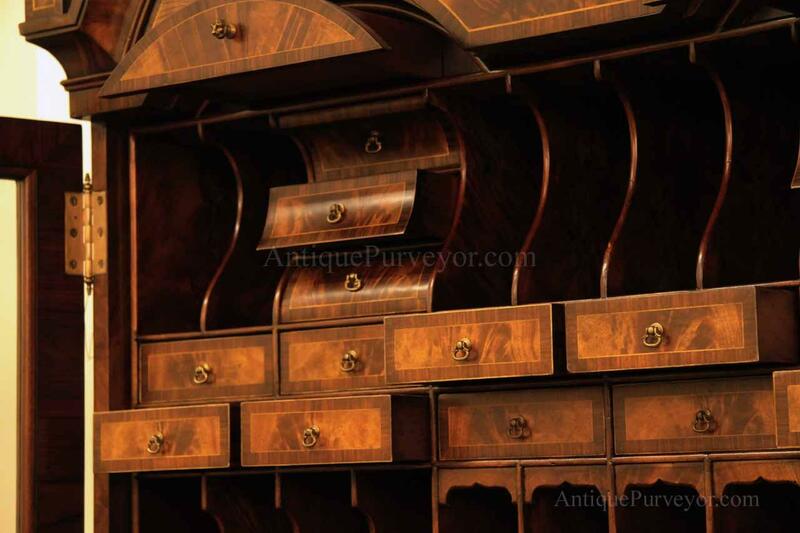 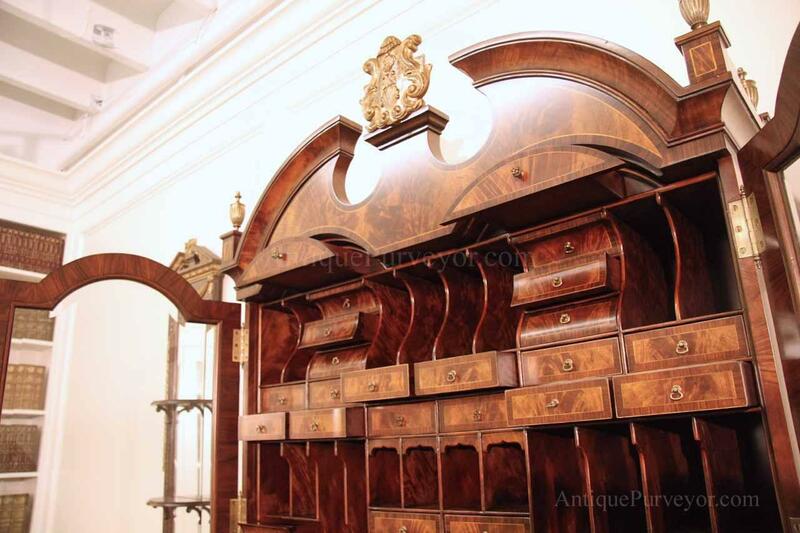 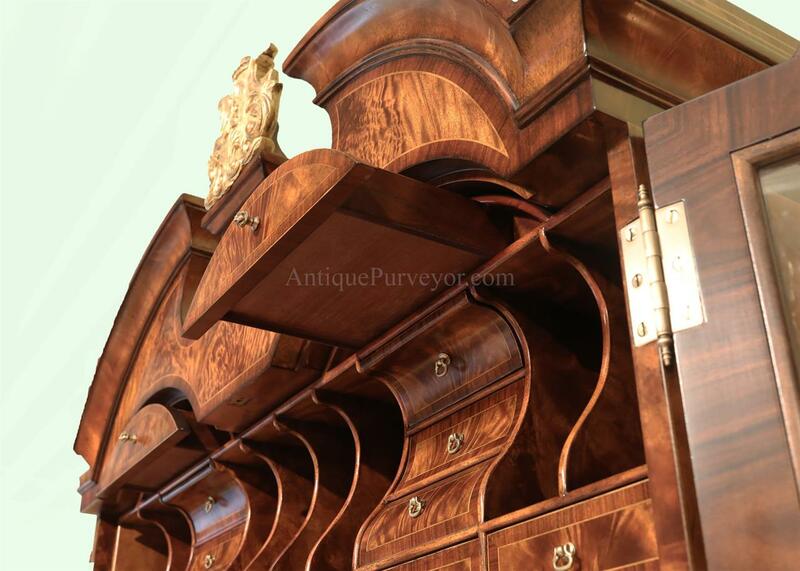 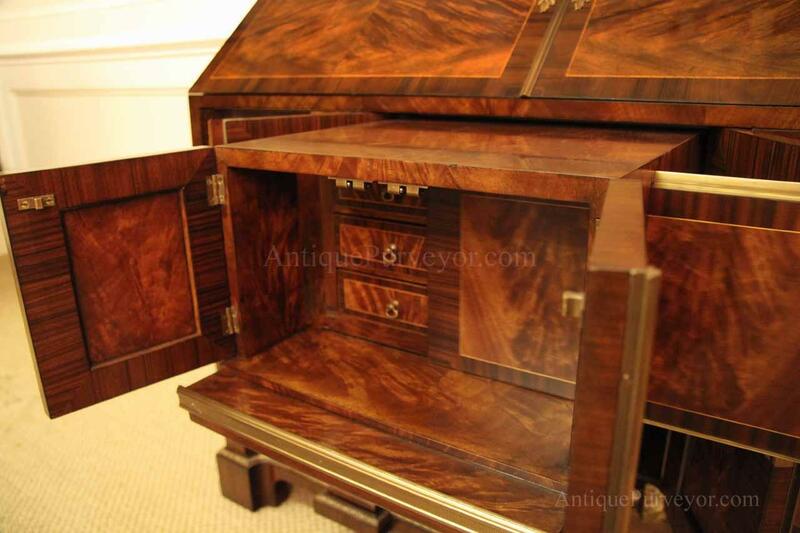 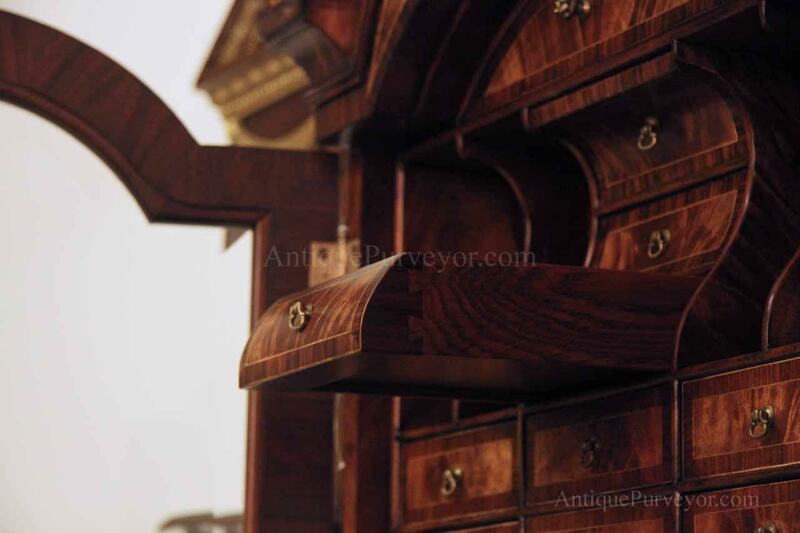 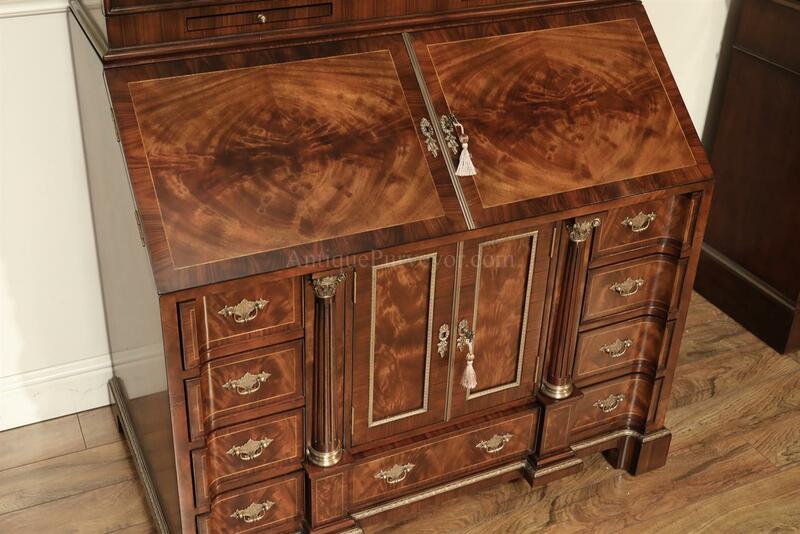 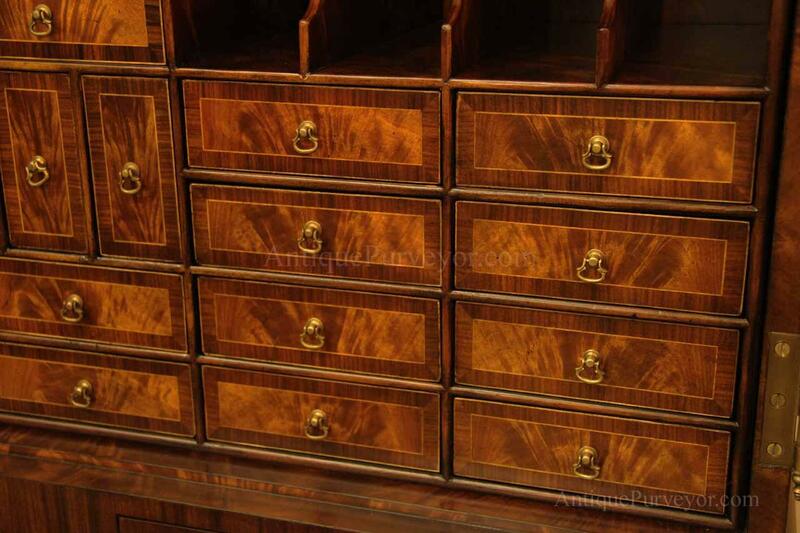 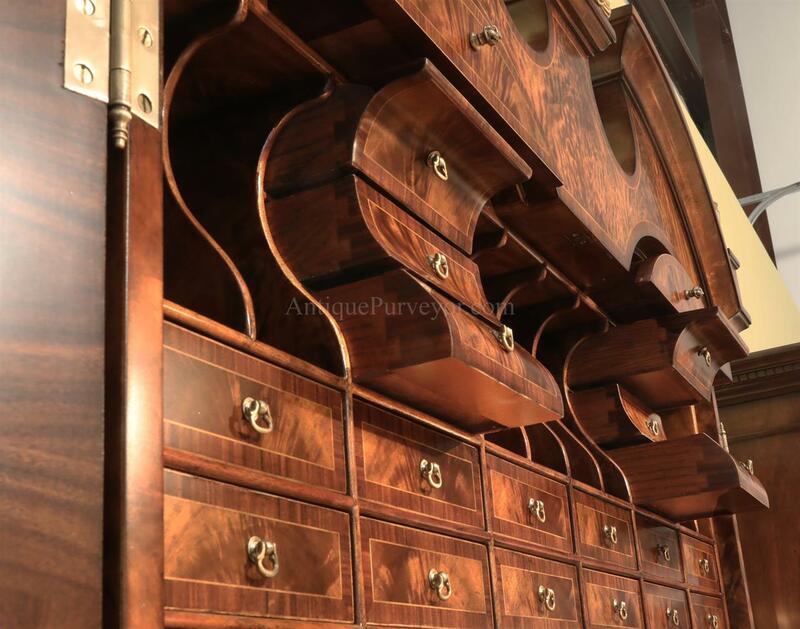 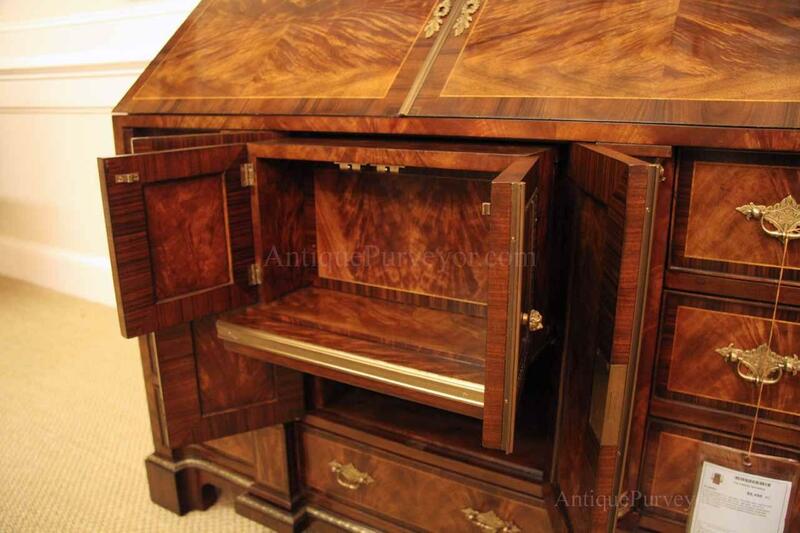 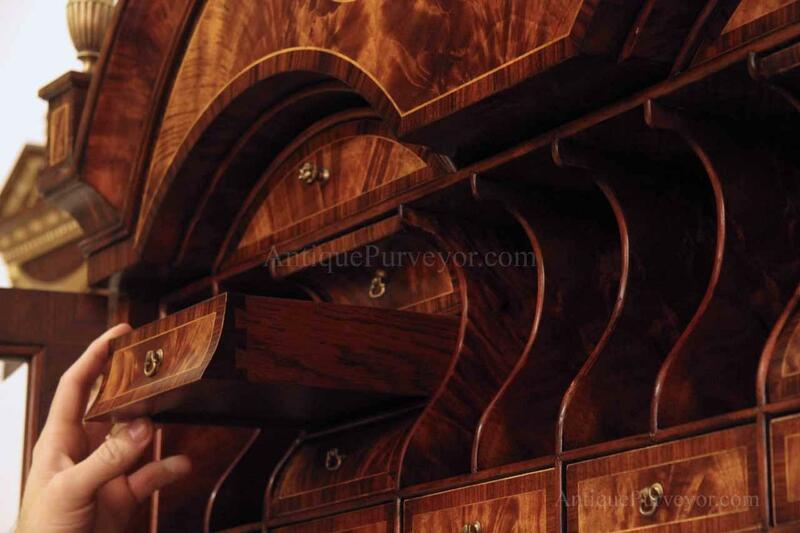 Luxurious mahogany secretary desk with over 45 drawers and 19 pigeon holes. 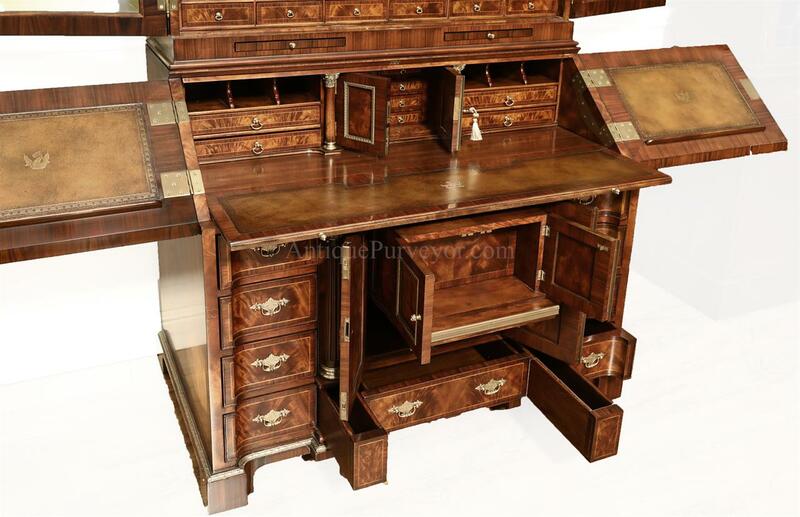 This desk is 900 pounds! 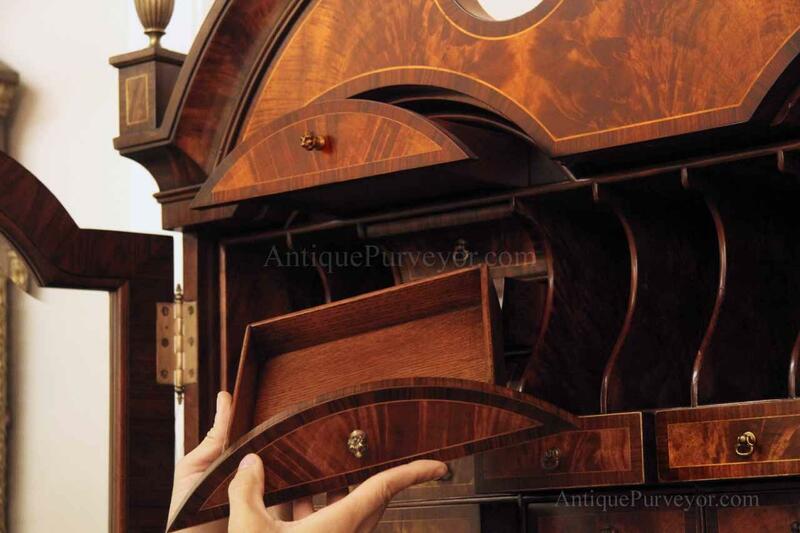 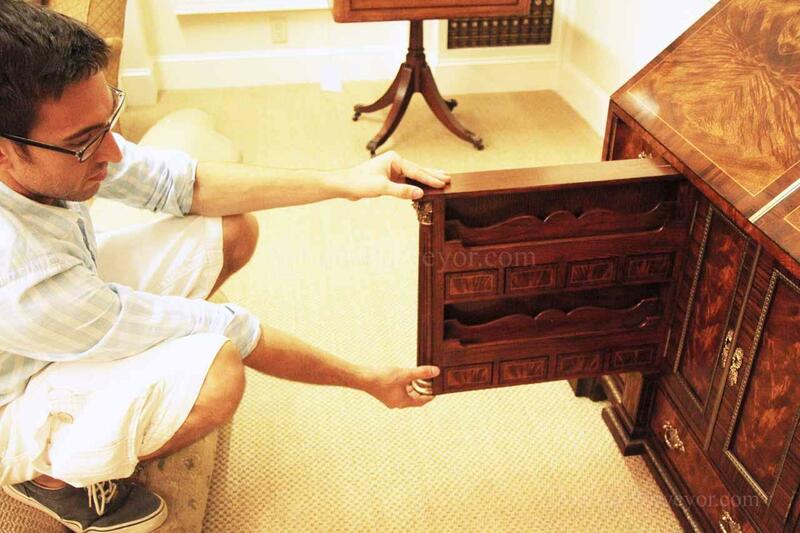 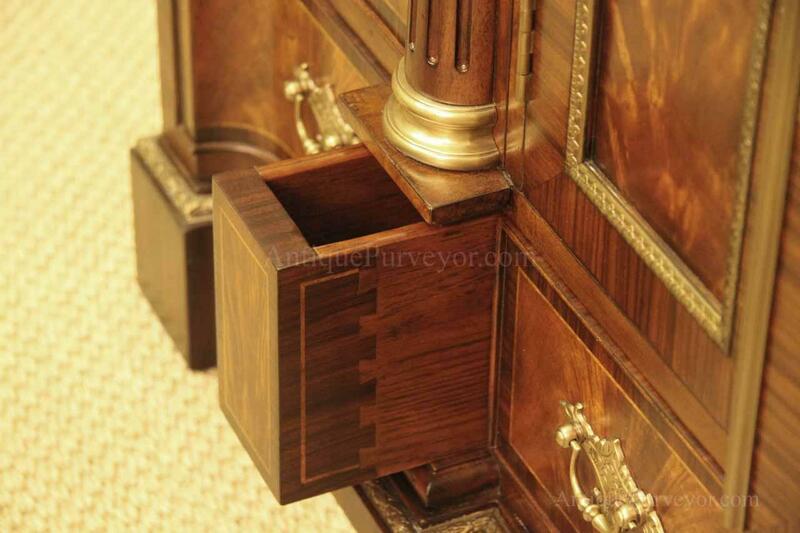 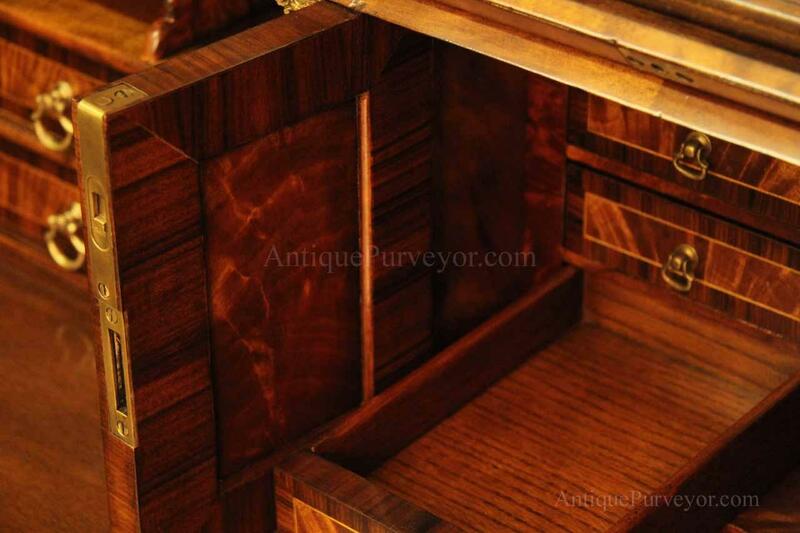 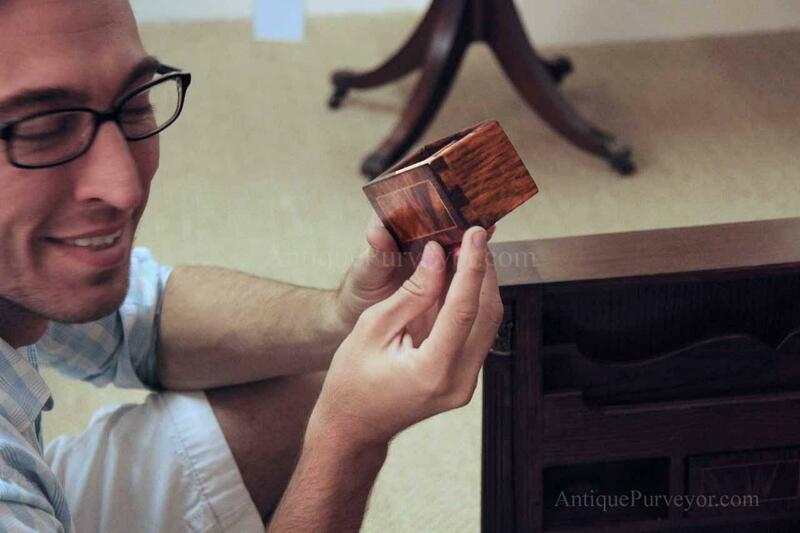 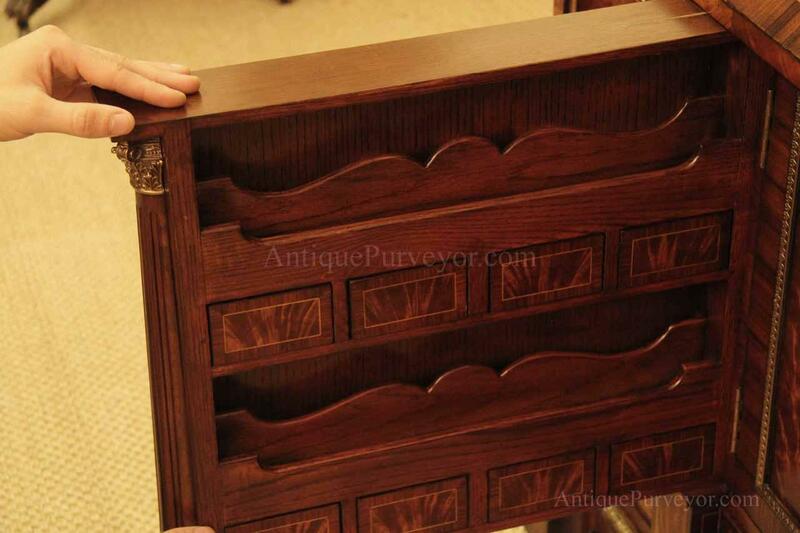 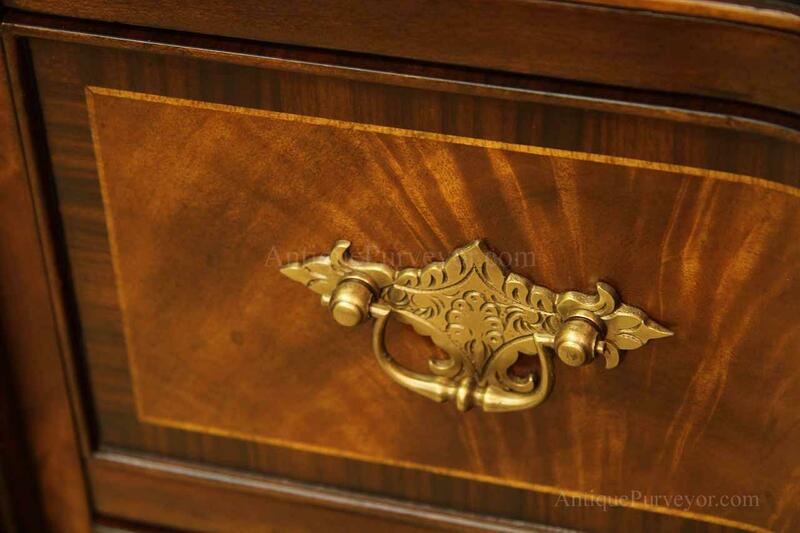 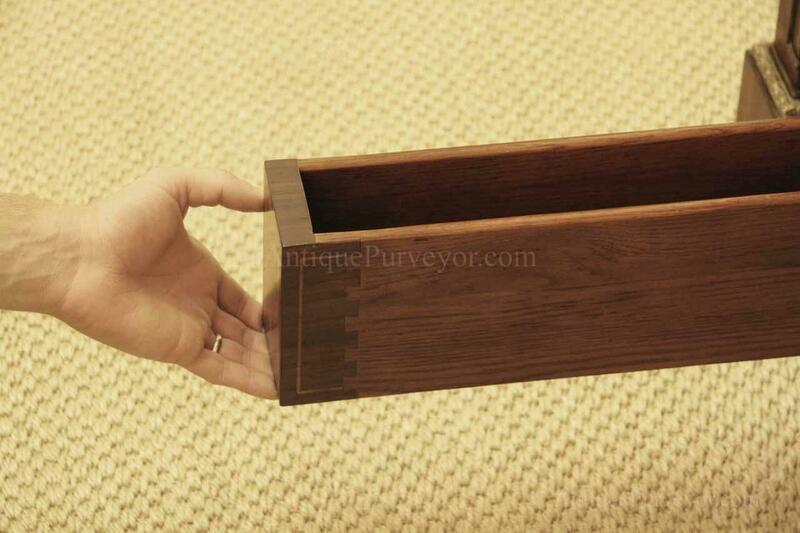 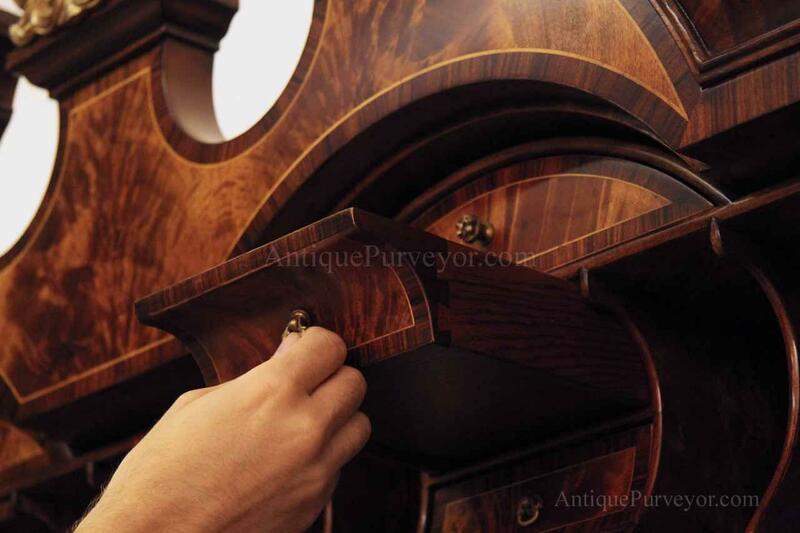 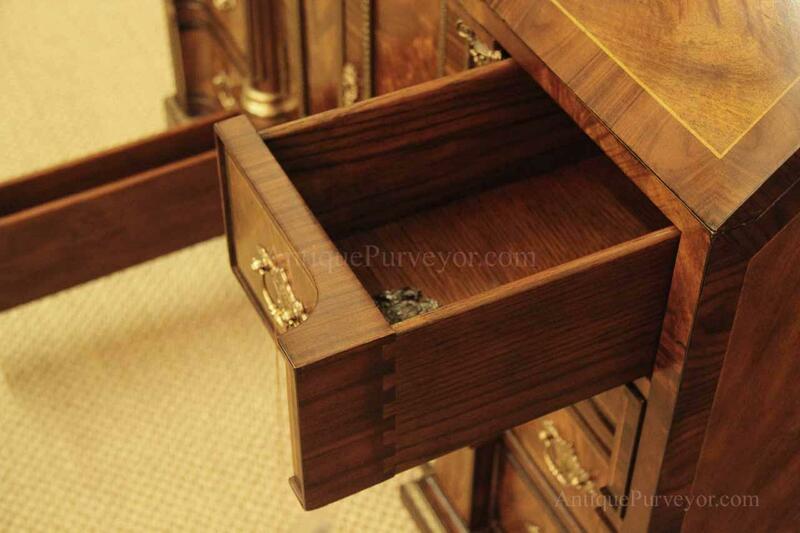 Every drawer is dovetailed, even the smallest drawers within the cabinet are tongue and groove. 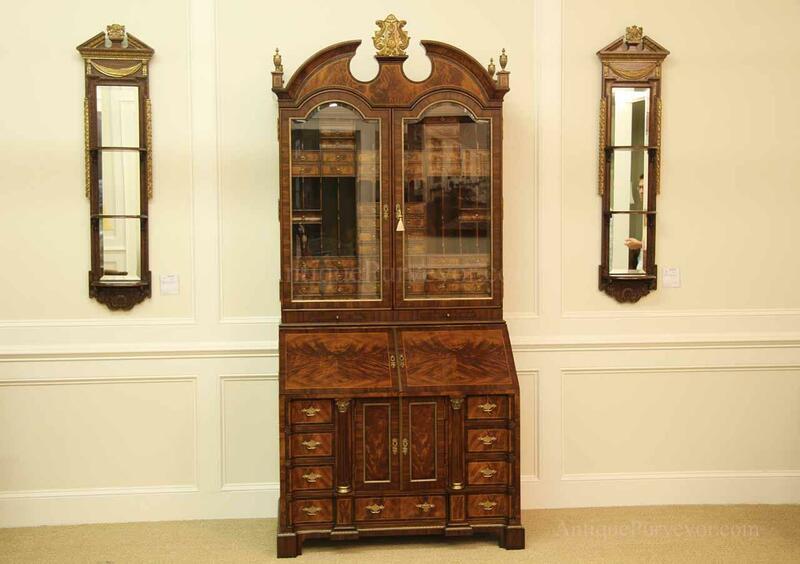 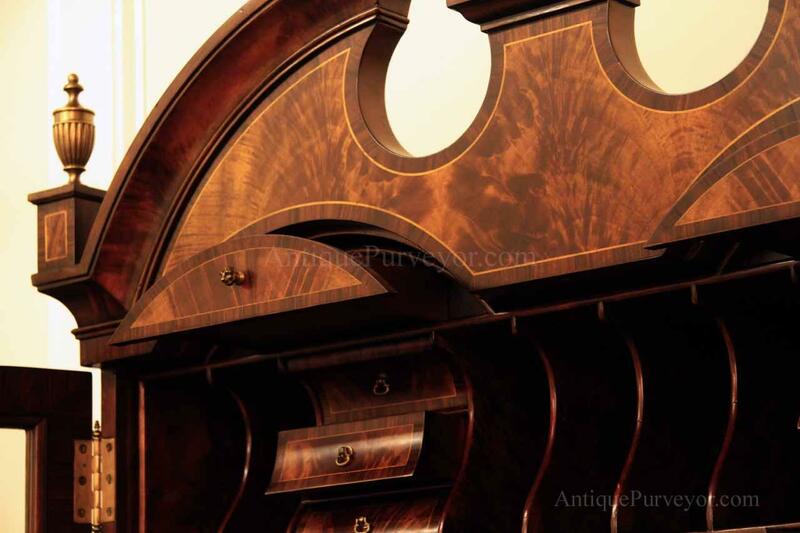 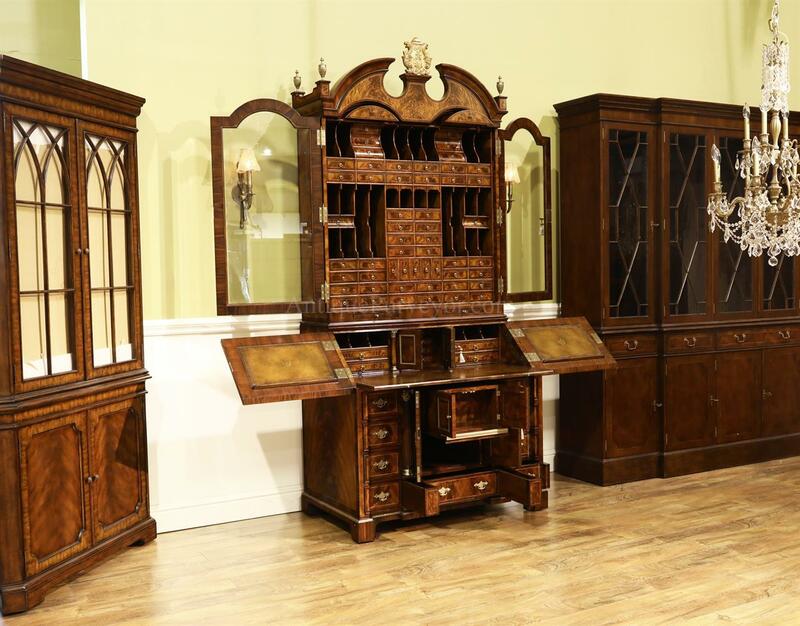 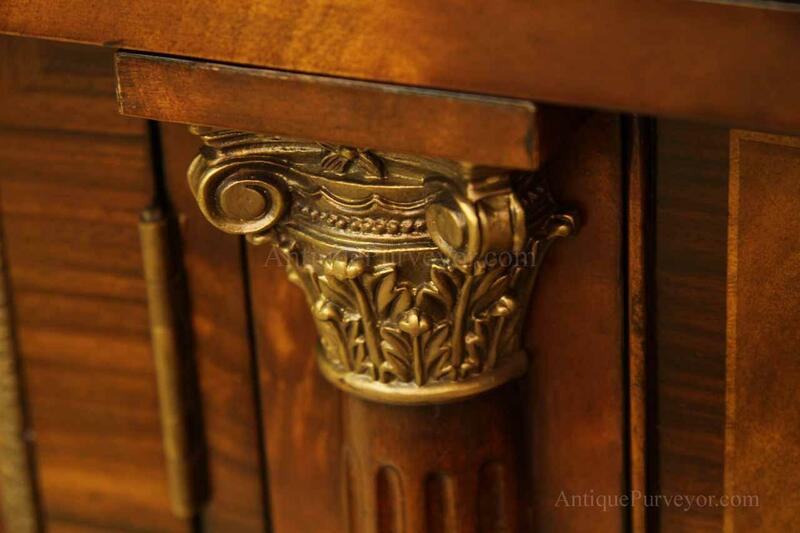 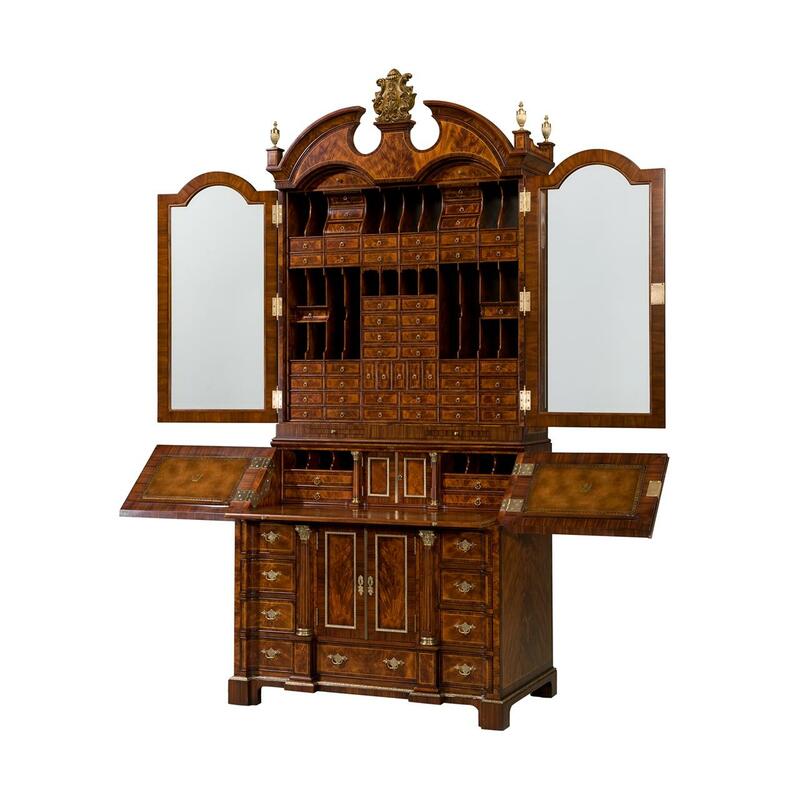 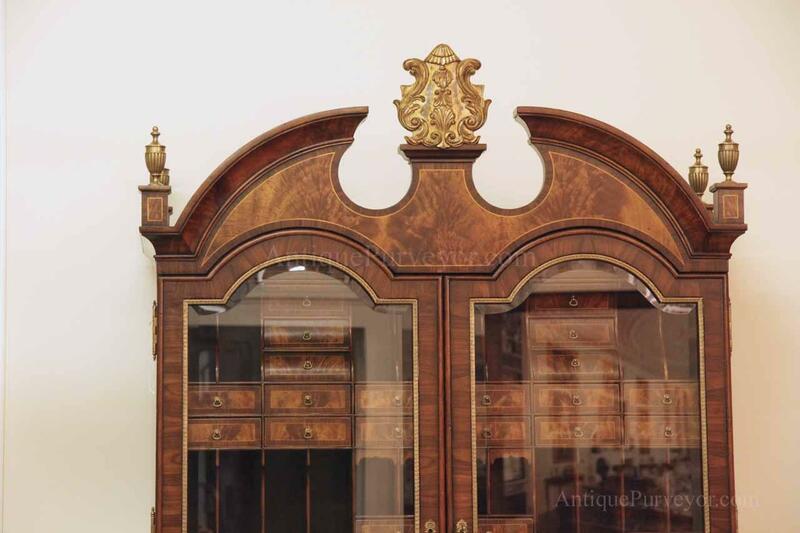 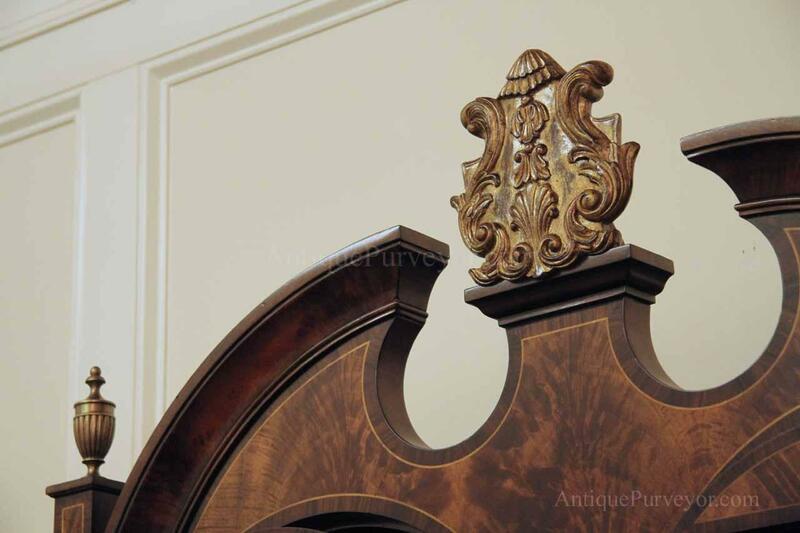 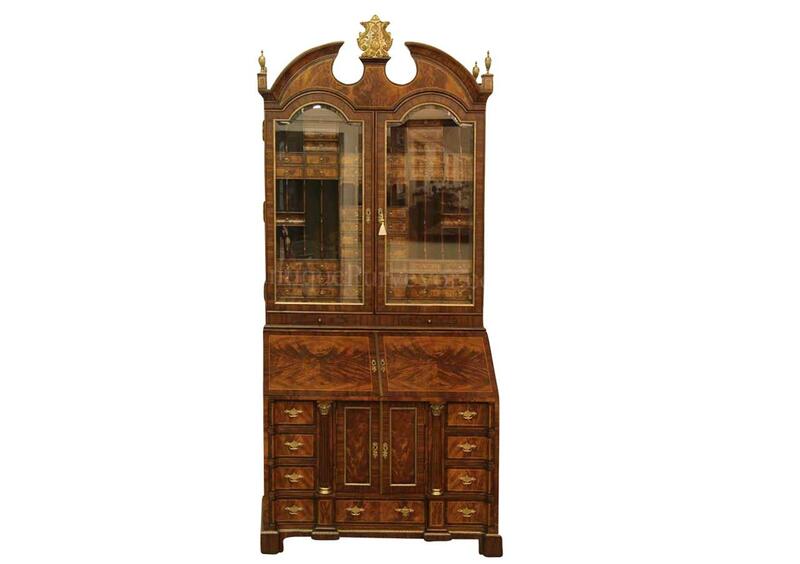 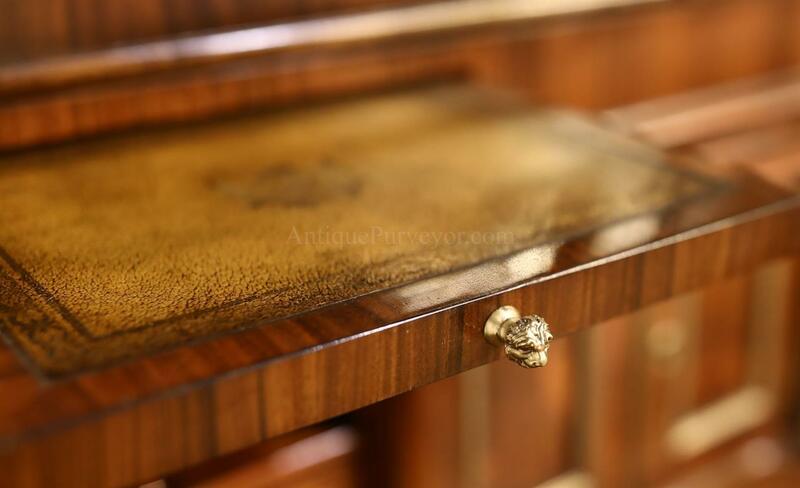 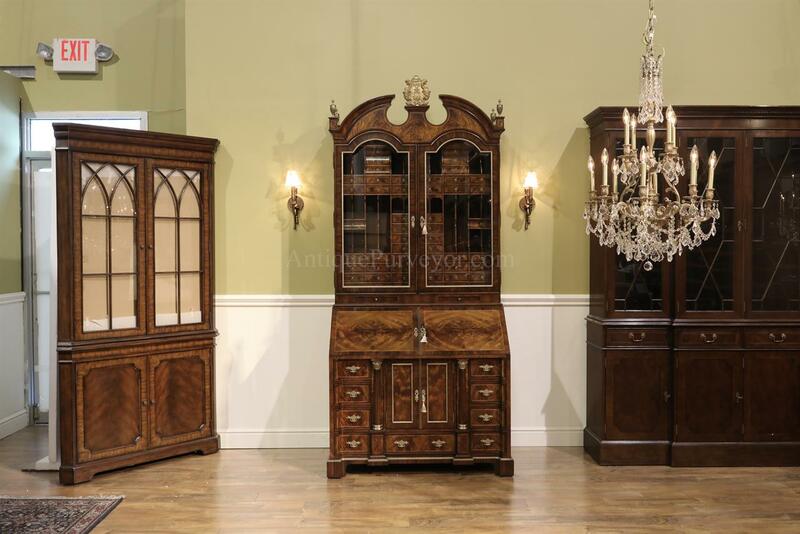 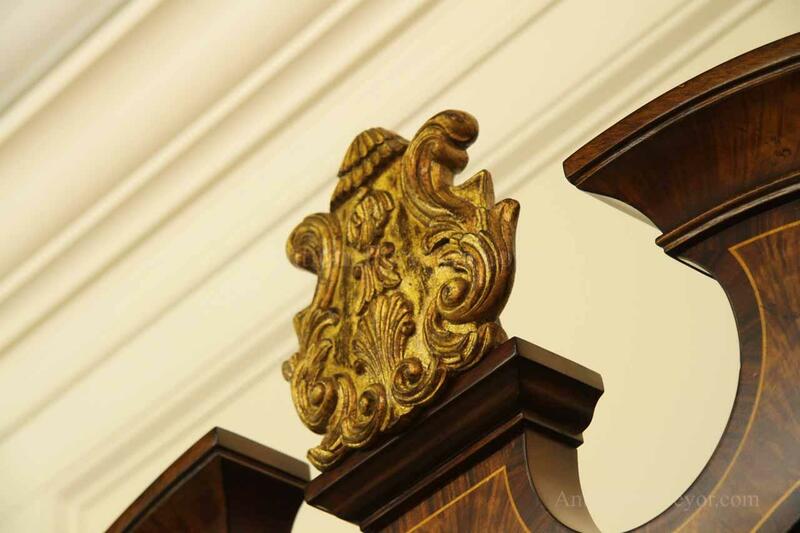 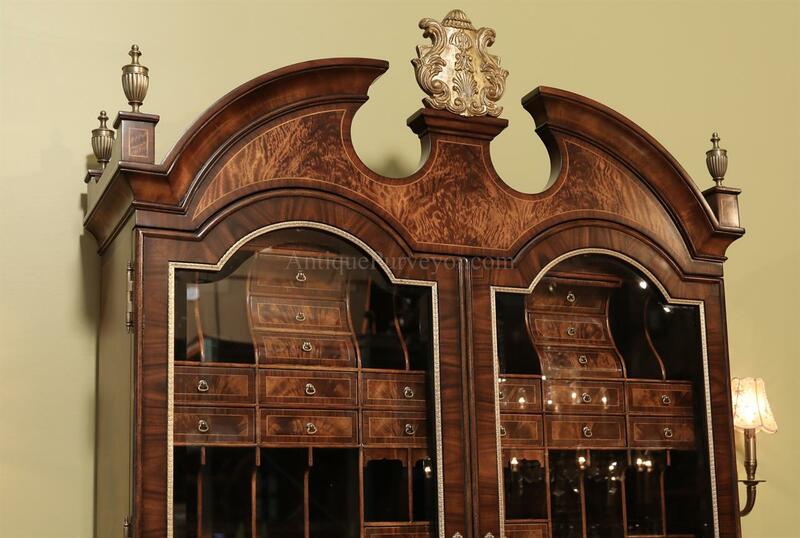 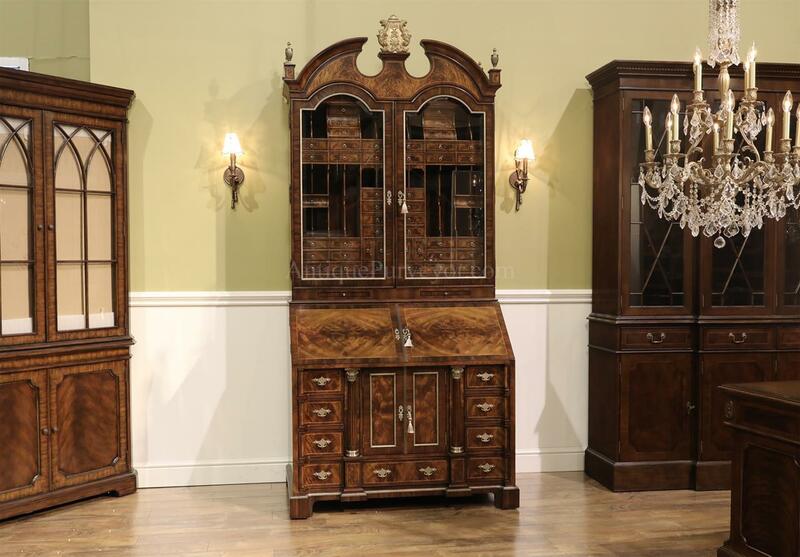 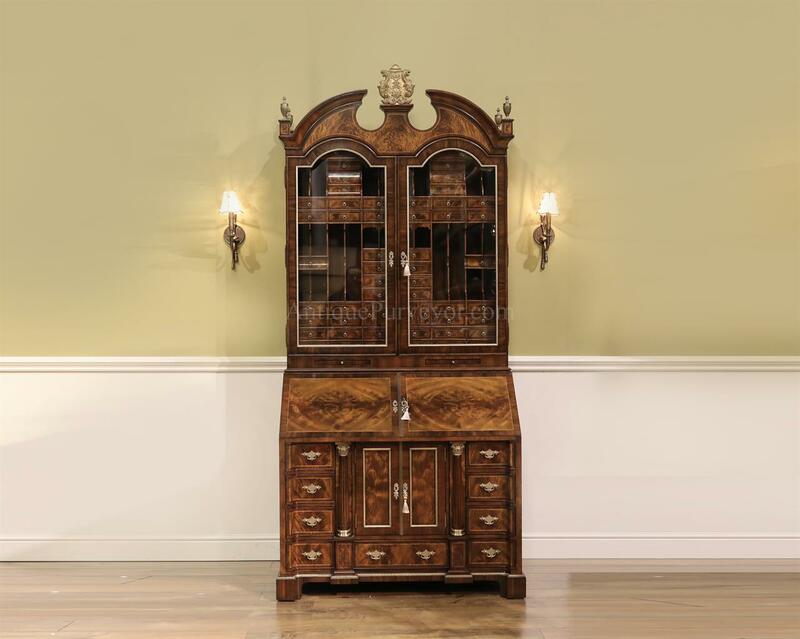 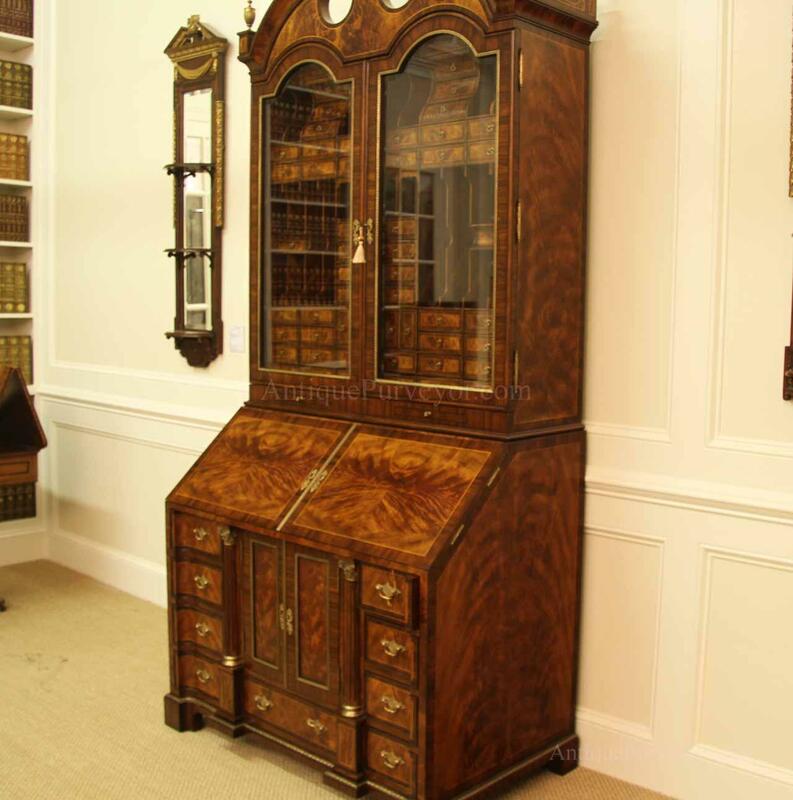 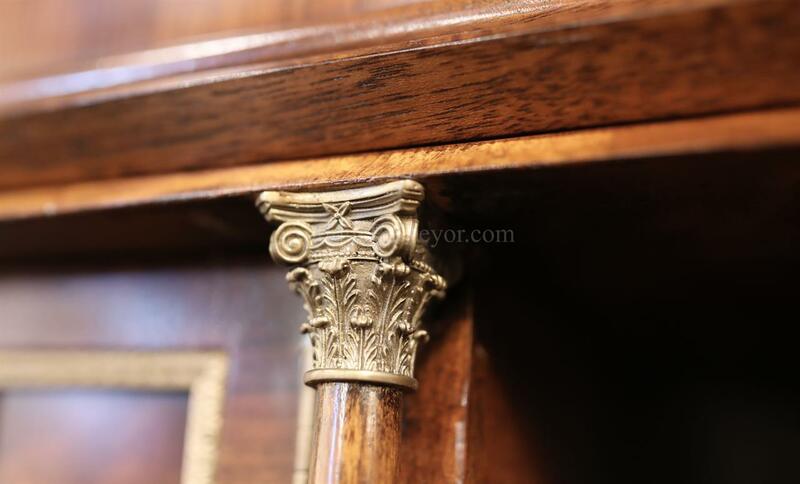 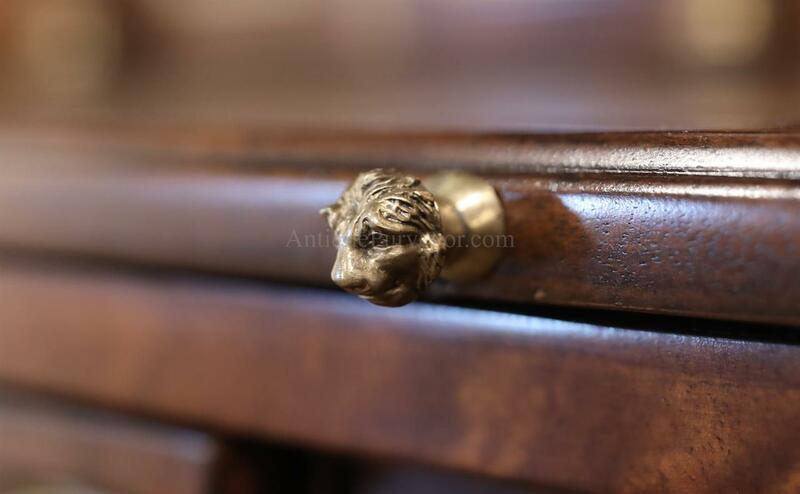 This secretary desk was manufactured by skilled artisans with traditional methods and it is a high-end 18th century antique reproduction built for a luxurious estate, stately home, grand foyer or historic site. 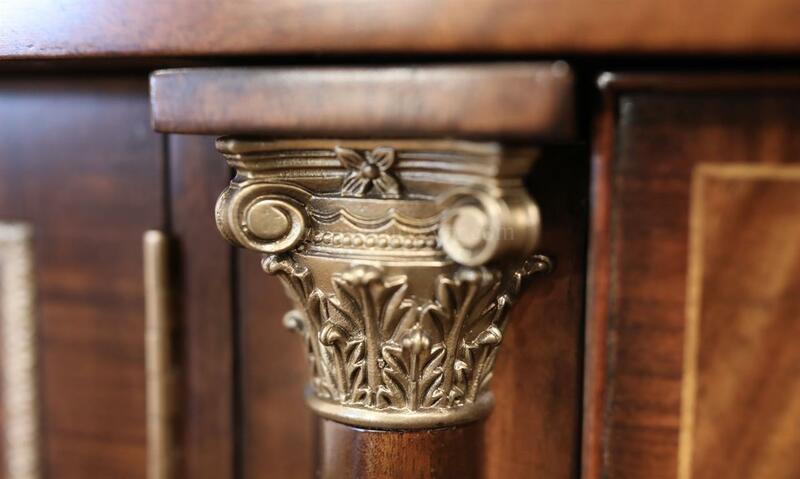 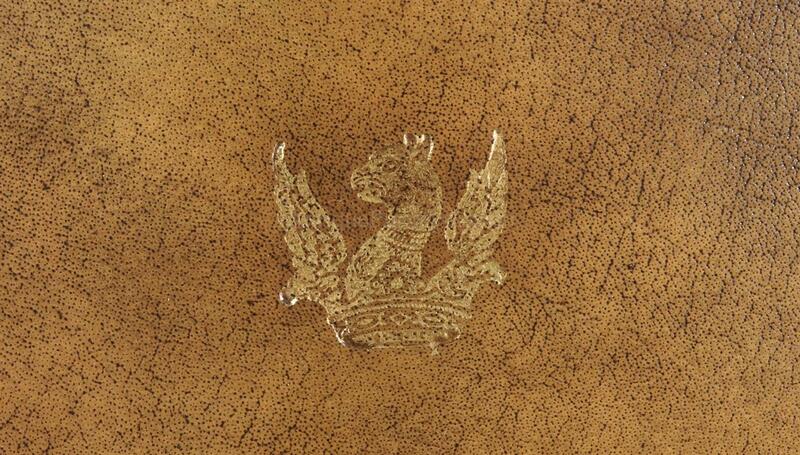 This desk is loaded with details. 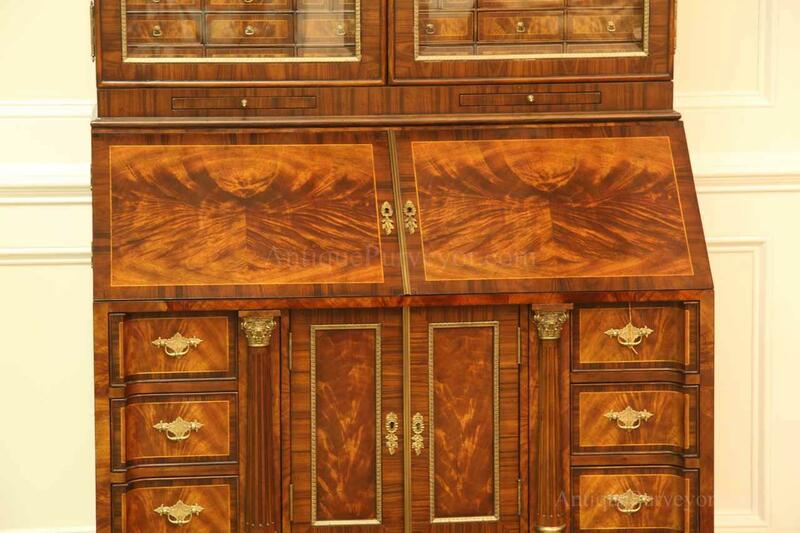 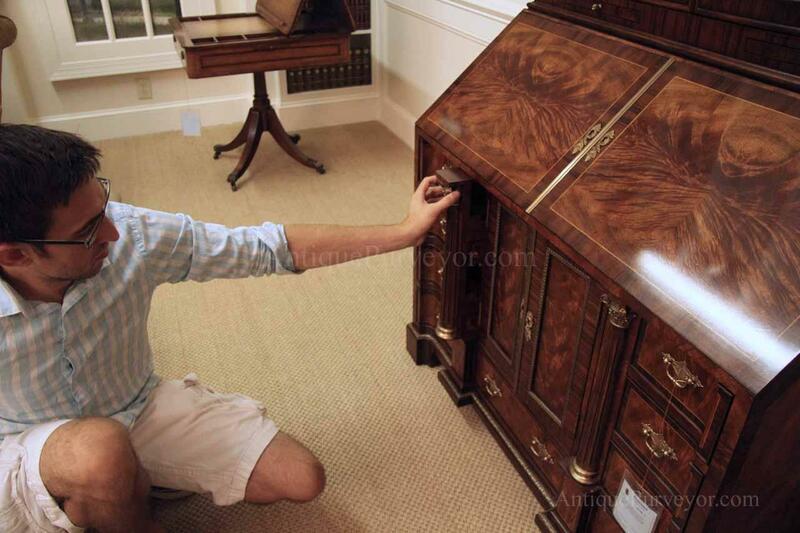 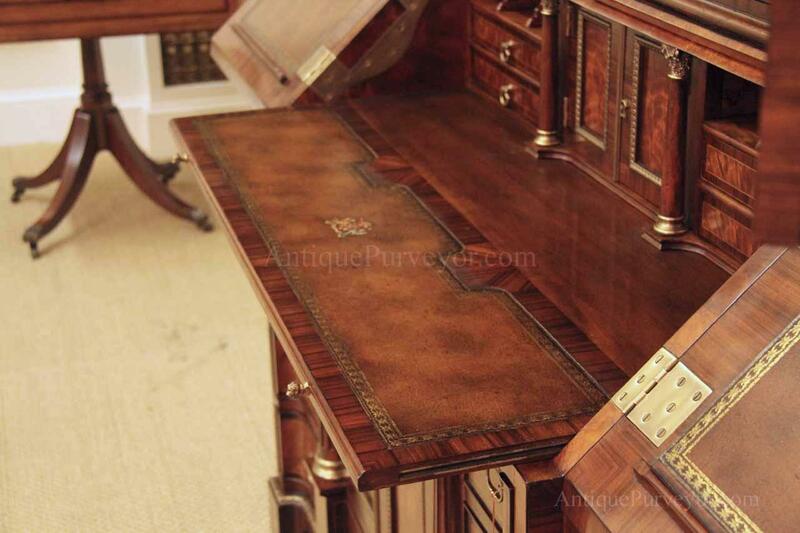 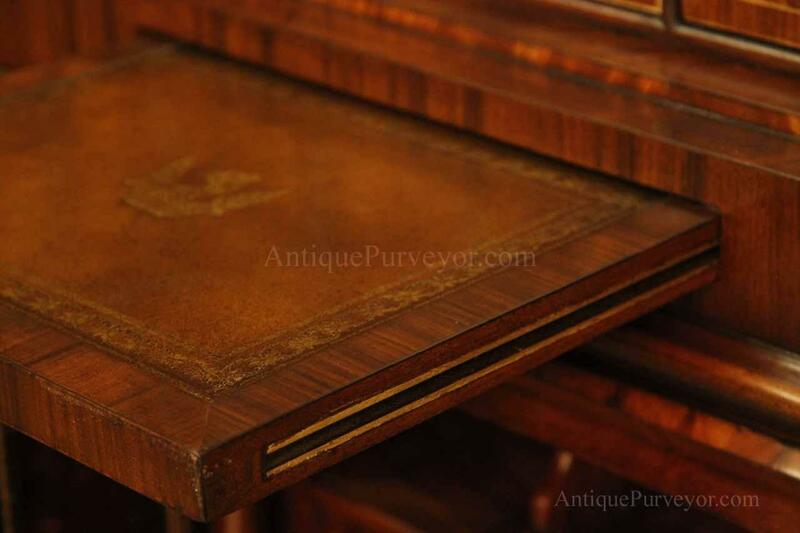 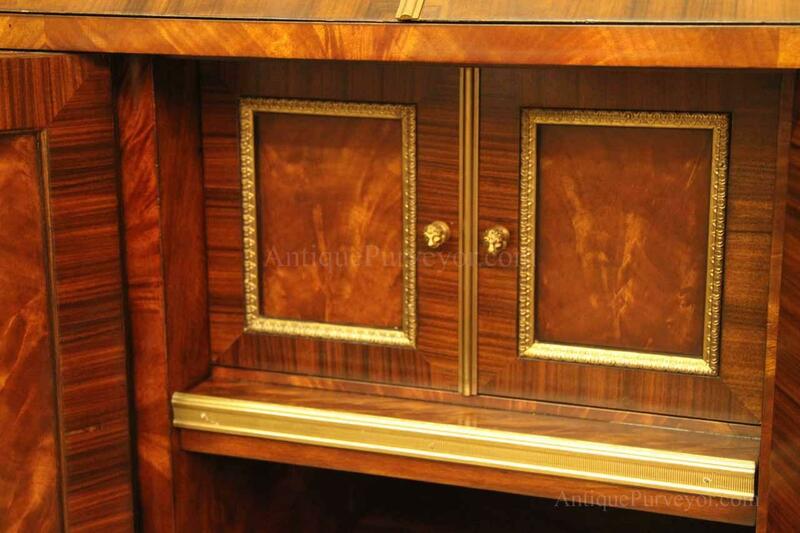 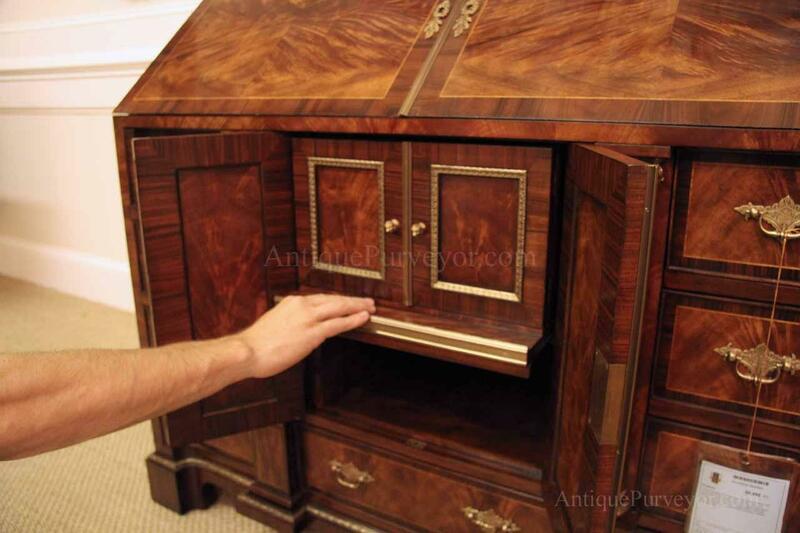 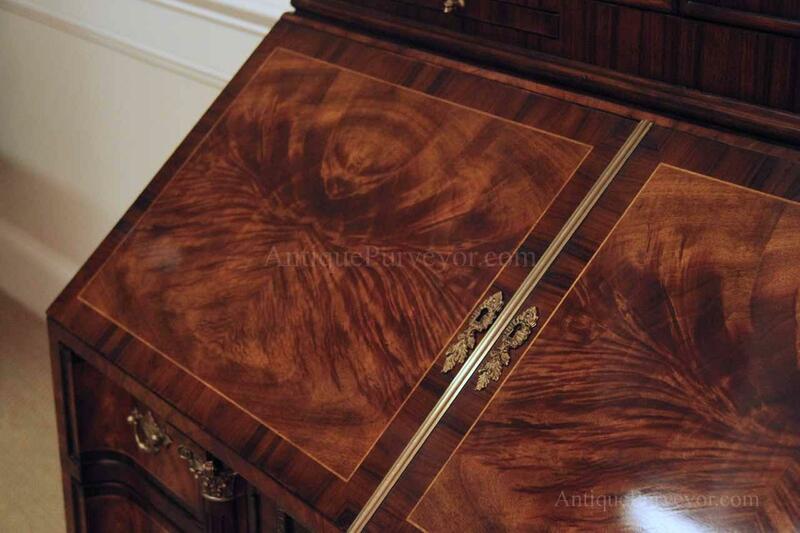 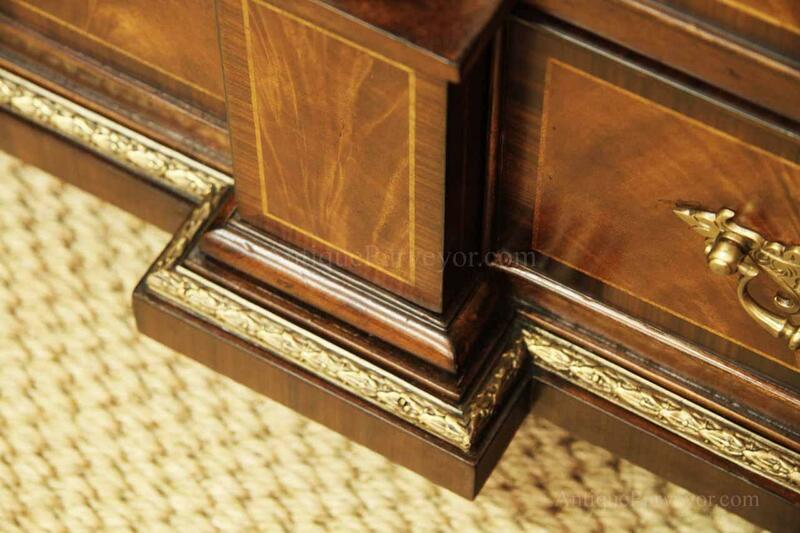 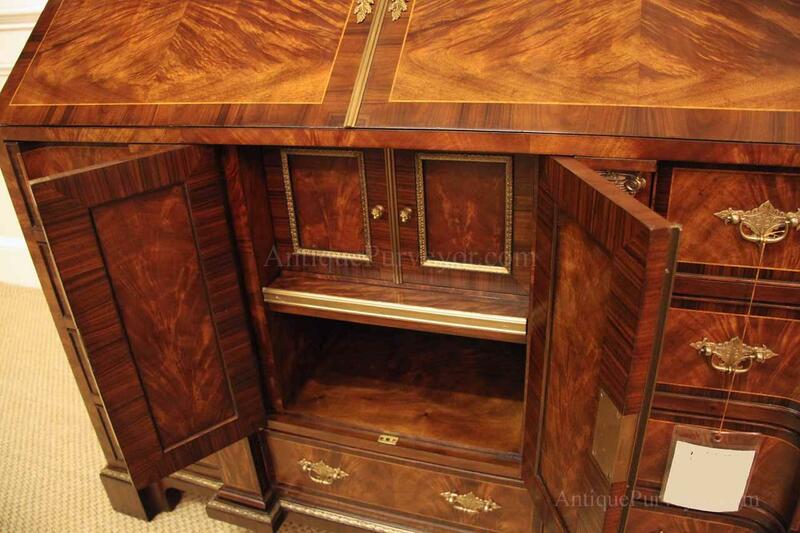 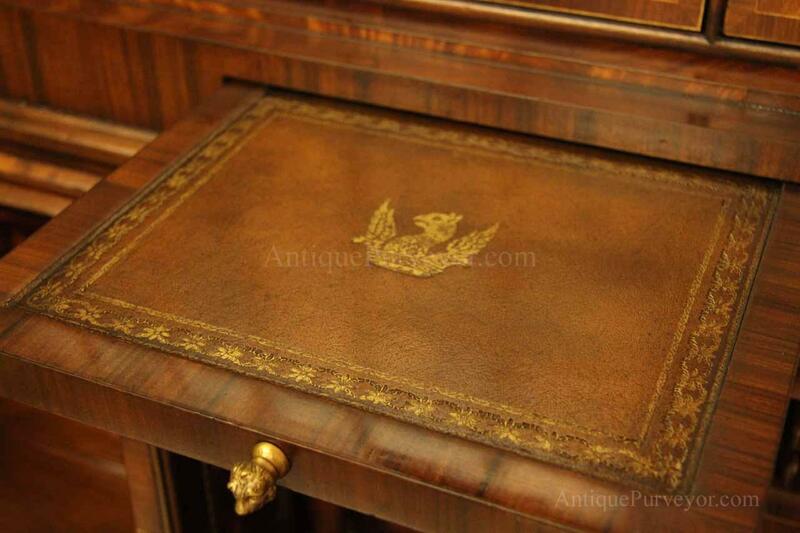 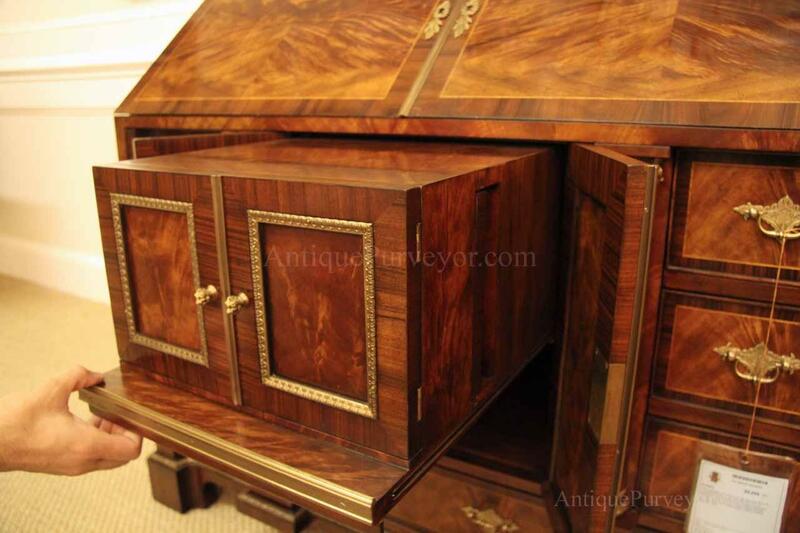 Desk is made from mahogany solids and fancier rosewood and flame mahogany Veneers. 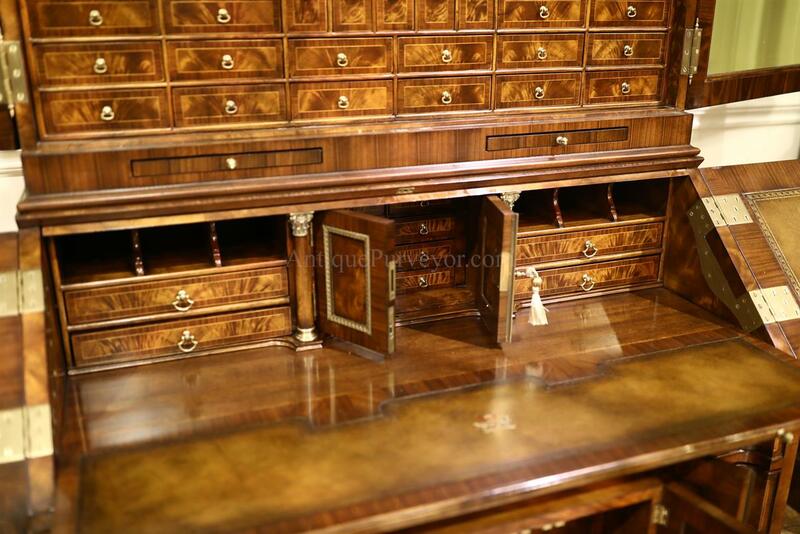 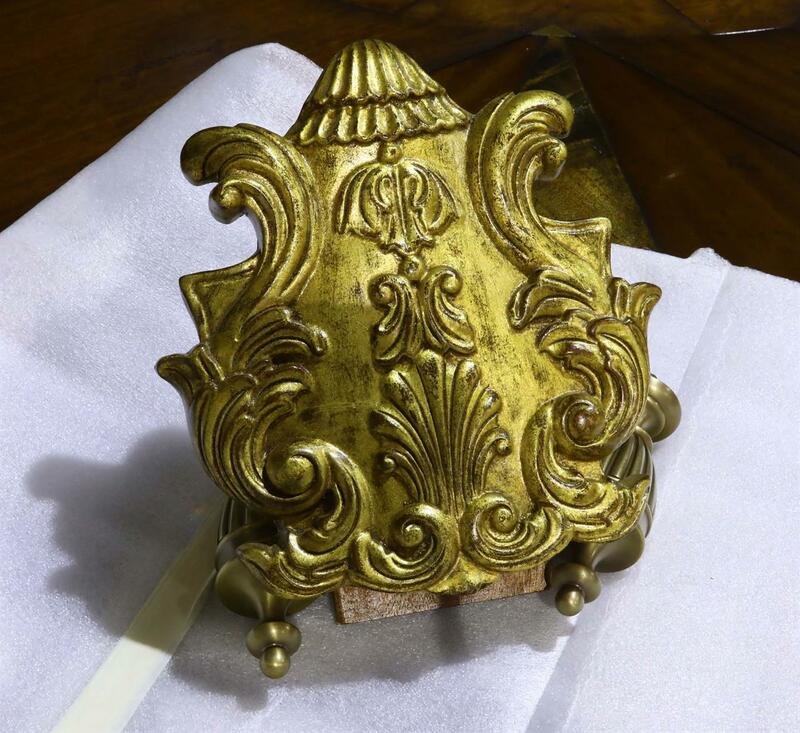 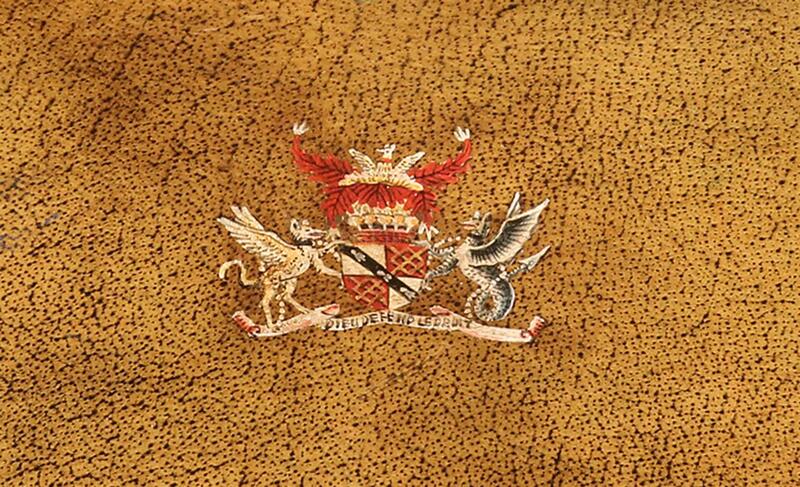 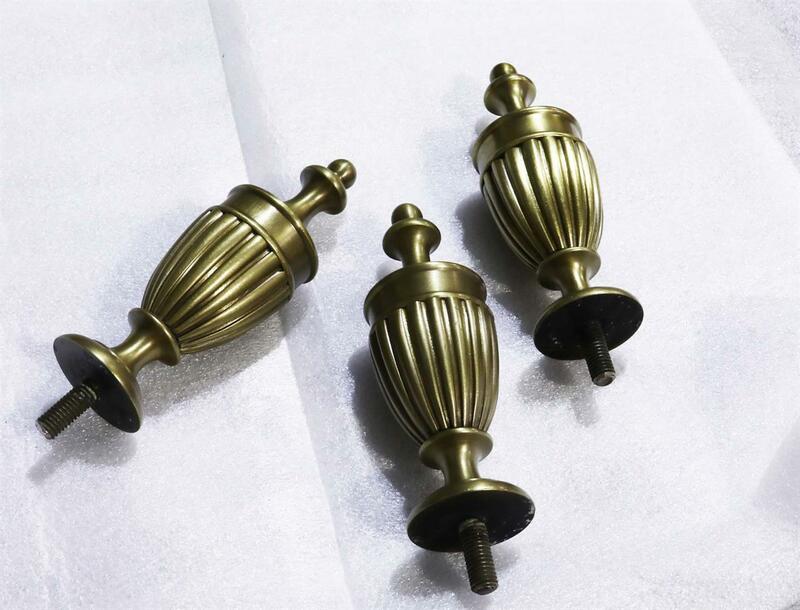 Desk has architectural brass cornices and gilt crest above two locking glass doors which enclose 45 drawers and 19 pigeon holes. 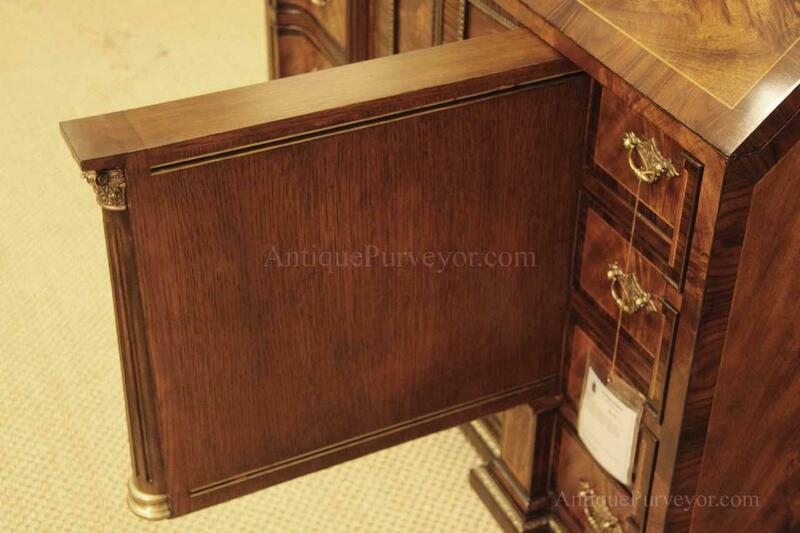 Below the glass case is an opening slant lid desk with leather inset pull-out trays. 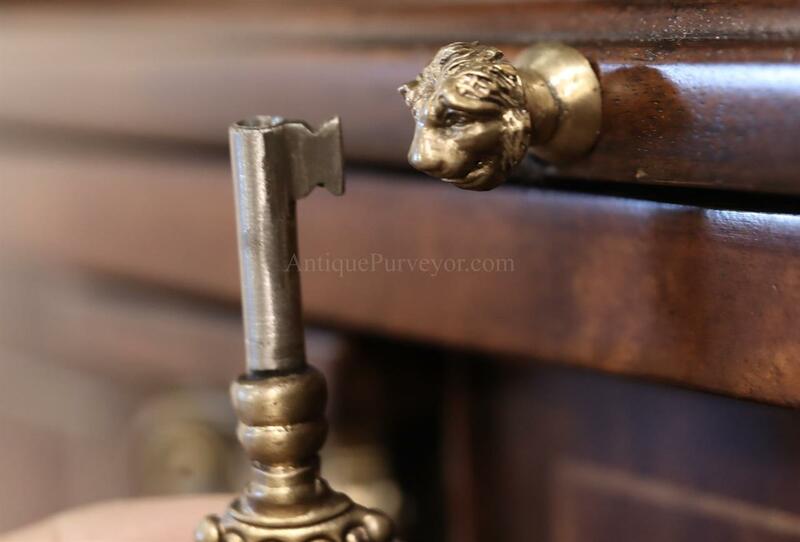 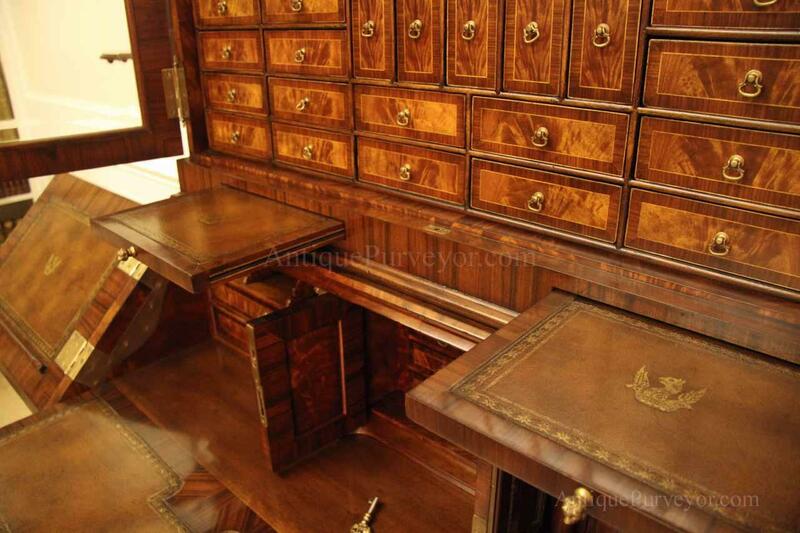 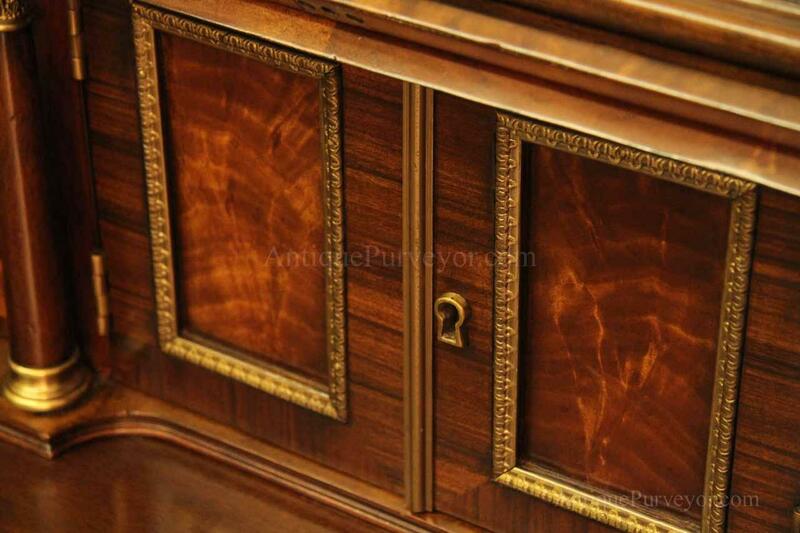 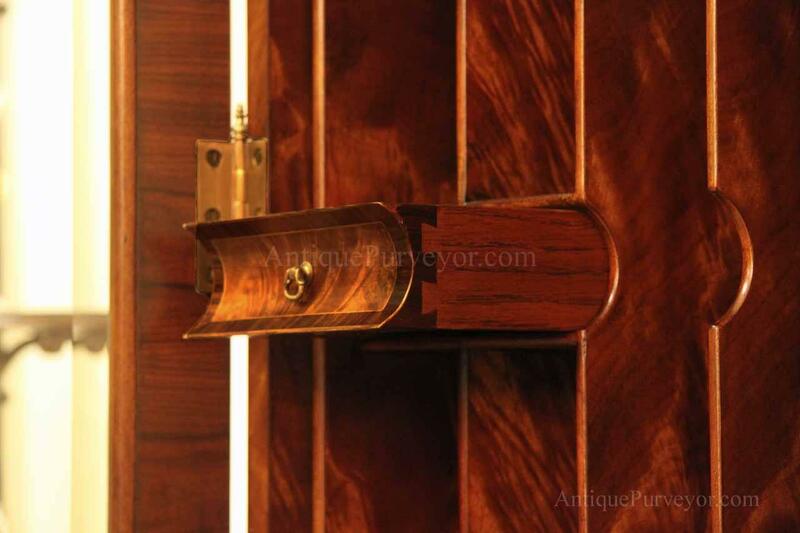 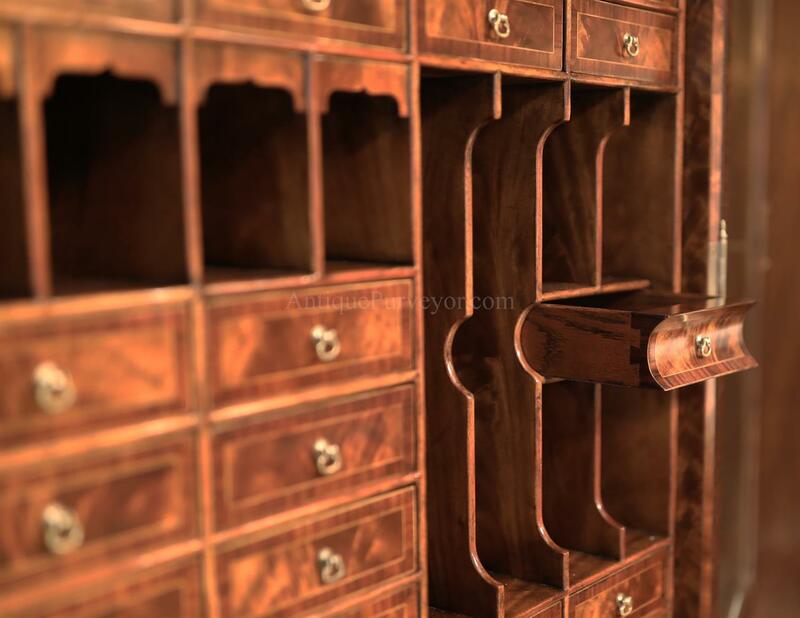 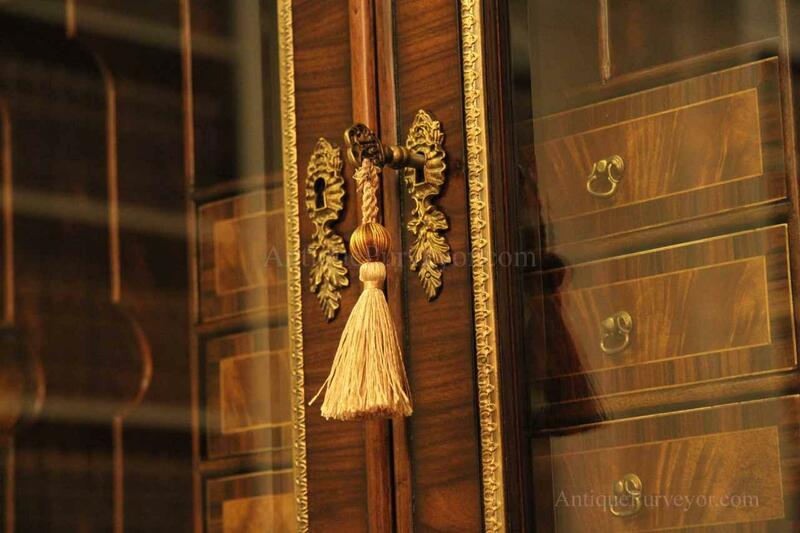 The bottom of cabinet has two more locking doors in front of many secretive compartments which traditional secretaries are known for. 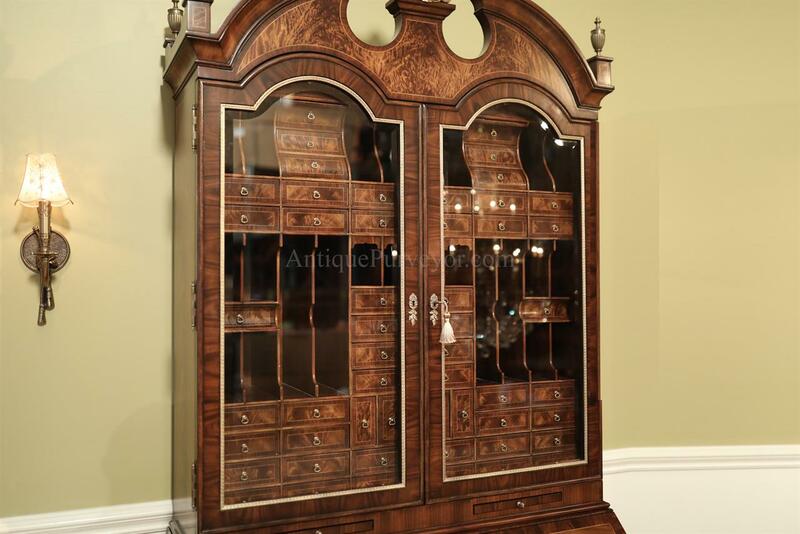 We took plenty of pictures of this cabinet. 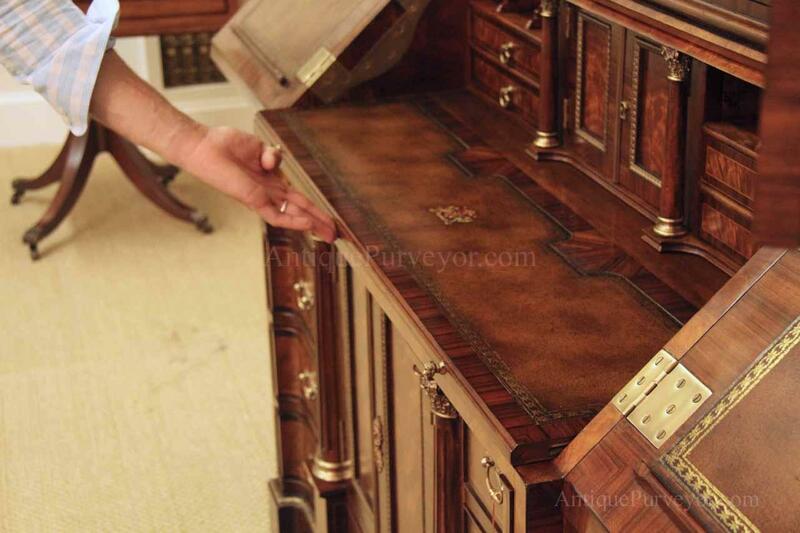 The more we inspected the cabinet, the more we found. 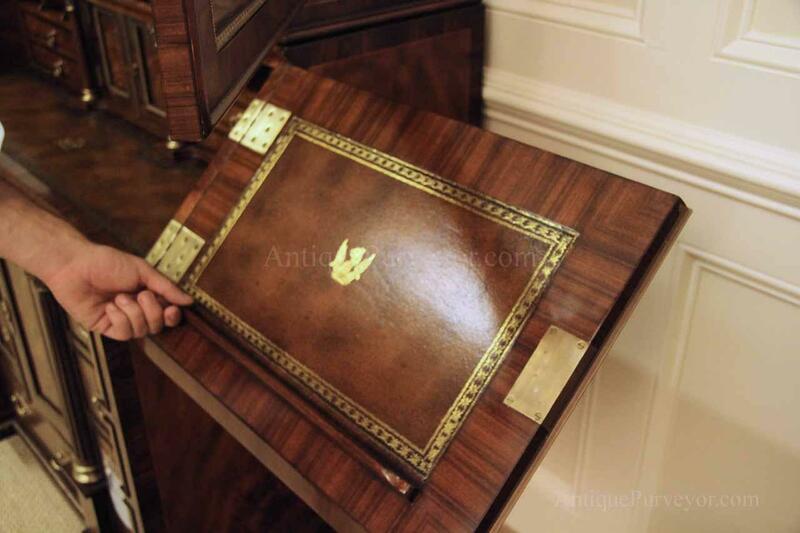 As you browse these pictures, read the captions below each thumbnail to get a full understanding of the cabinet and its features. 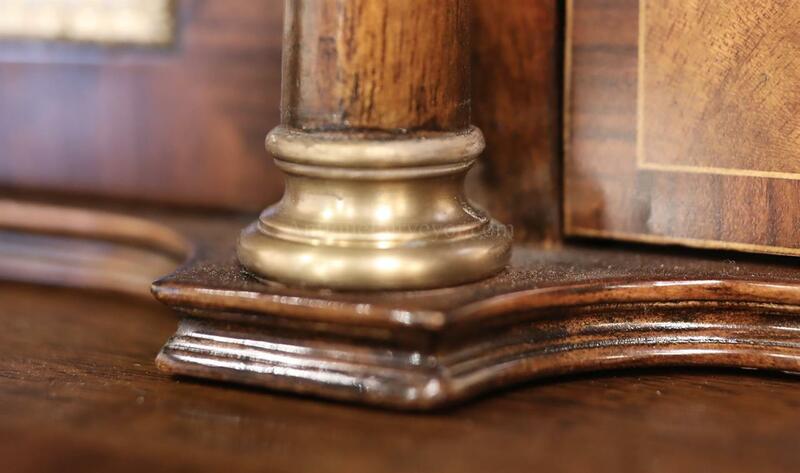 Be sure to check out our video demonstration on the right margin of your screen!